If you have any signs that make you suspect that you may be having a heart attack, please do not delay in seeking medical help! Every minute matters! When a heart attack strikes, sometimes the symptoms can be confused as being attributed to something else. This can be dangerous. A heart attack, also referred to medically as Myocardial Infarction, can present as an uncomfortable pressure in the chest. Other feelings the victim may encounter are chest discomfort, a squeezing sensation, chest pain, tightness in the heart region, heaviness, bloating, indigestion, heartburn, and discomfort in the upper body, shoulder, back, one or both arms, the neck, jaw or stomach. One may even just experience a shortness of breath with or without chest discomfort. Other symptoms can include nausea, fainting, sudden fatigue, feelings of anxiety, heart palpitations, tingling, cold sweat, and dizziness. 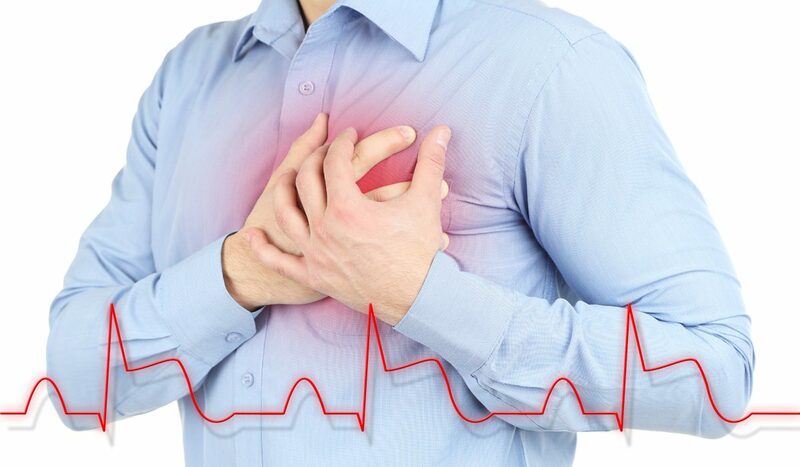 The pain that is felt can feel like a clenched fist in the chest as most heart attacks involve discomfort in the center of the chest that lasts more than a few minutes, or that goes away and comes back. As per the Center for Disease Control and Prevention (CDC), approximately 800,000 people die of cardiovascular disease in the United States every year. This means 1 in every 3 deaths can be attributed to the disease, and it is the leading cause of death for both men and women. About 47% of sudden cardiac deaths occur outside of a hospital. This suggests that many people with heart disease do not act fast enough upon encountering the early warning signs. Like a man, a woman will most commonly experience chest pain and discomfort, but may be a bit more prone to feeling nauseous, having jaw pain, sudden back pain, and a period of shortness of breath. Although heart disease has been proven to be the number one killer of women in the United States, women will often equate the symptoms to less life-threatening conditions such as indigestion, simple heartburn, acid reflux, the flu, or attribute it to the normal aging process. The heart is one of the most important parts of the body – it is the most important muscle – not just because of its function, but because once it is damaged it can be difficult to repair. 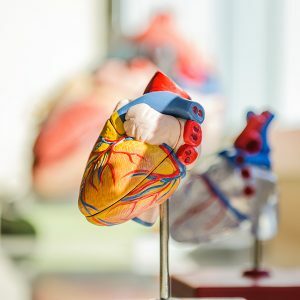 The majority of heart conditions develop over a period of several years – making it possible to detect the condition while it is still in its early stages. This also makes it possible to improve one’s cardiovascular health with some basic lifestyle improvements as well. Through the use of collected medical data, laboratory test results, and imaging results – your Cardiologist at South Strand Cardiology will be able to carefully review your health status and make recommendations towards achieving greater well-being. We will share valuable information with you regarding treatment plans and how to make positive changes concerning your lifestyle choices. Prevention is always the best medicine. South Strand Cardiology strongly endorses focusing on your heart health to stop or decrease the chance of developing a heart condition in the first place. Lifestyle changes such as following a heart-healthy plant-based diet, quitting smoking, limiting alcohol intake, and exercising regularly can be hugely beneficial. Our cardiac care practice is aimed towards the treatment and management of heart conditions using monitoring tools and the latest scientific research available. Our goal is to help you to improve your quality of life even if your heart or vascular condition cannot be readily cured. If you are concerned about your heart health, contact us to schedule an appointment today.